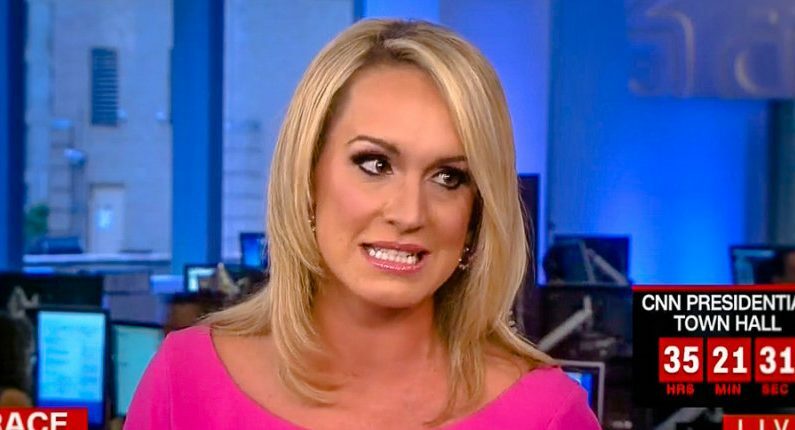 CNN apparently made the decision to not renew Scottie Nell Hughes’ political contributor contract when it expires at the end of the month, Mediaite reports. She joined CNN as a Trump-favoring contributor in July after appearing on their air for some time as an unpaid guest. Who? I tune in CNN at least once a day, and I’ve never seen her, not even on a panel. I have seen plenty of other Trump supporters, Lewandowski, Conway and others. Maybe she was too generic for viewers to notice her.